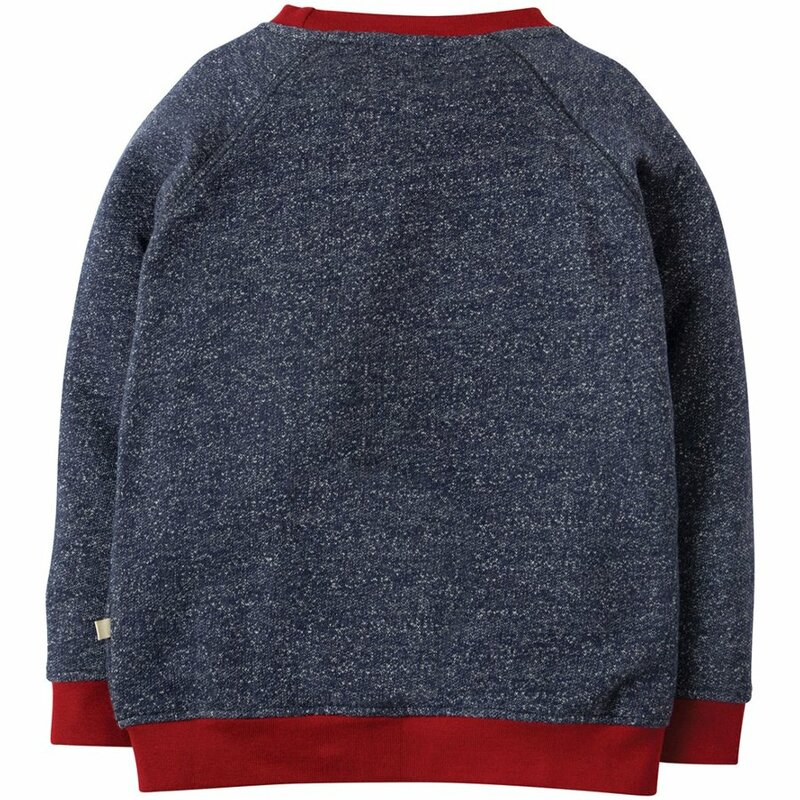 This gorgeous jumper is ethically made from 100% organic cotton terry. 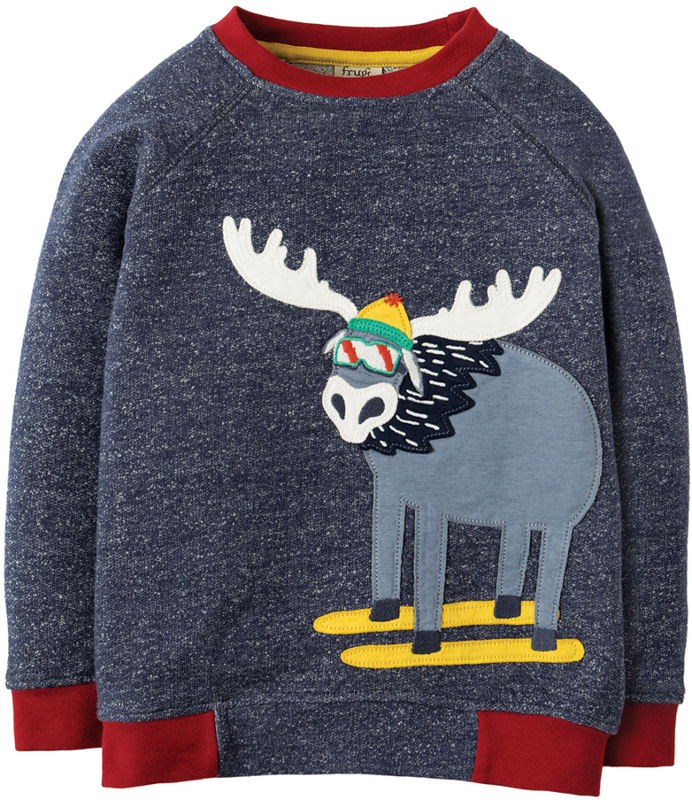 The speckled background gives the impression of a snowstorm with a super cool and colourful skiing moose appliqué and contrasting red cuffs and neck piping give the top another dimension. 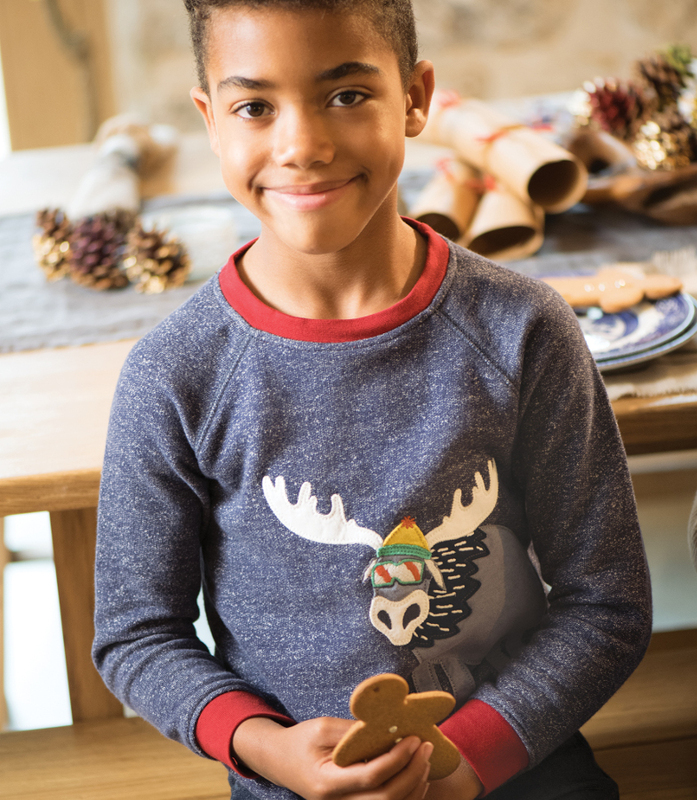 Frugi donate 1% of profits to chosen charities, helping people all over the world as well as making all their clothes in fair trade factories where employees are given a fair wage as well as access to a free GP for them and their families. 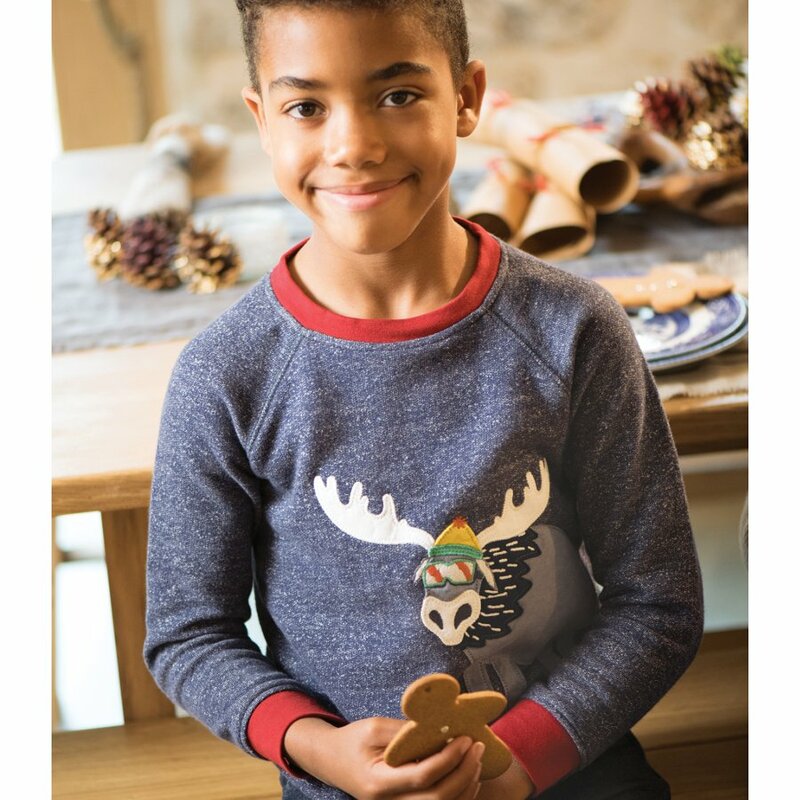 Vegan, Vegetarian, Sustainable, Fair Trade, Organic, GOTS certified, Supports a Charity and is Eco-friendly. 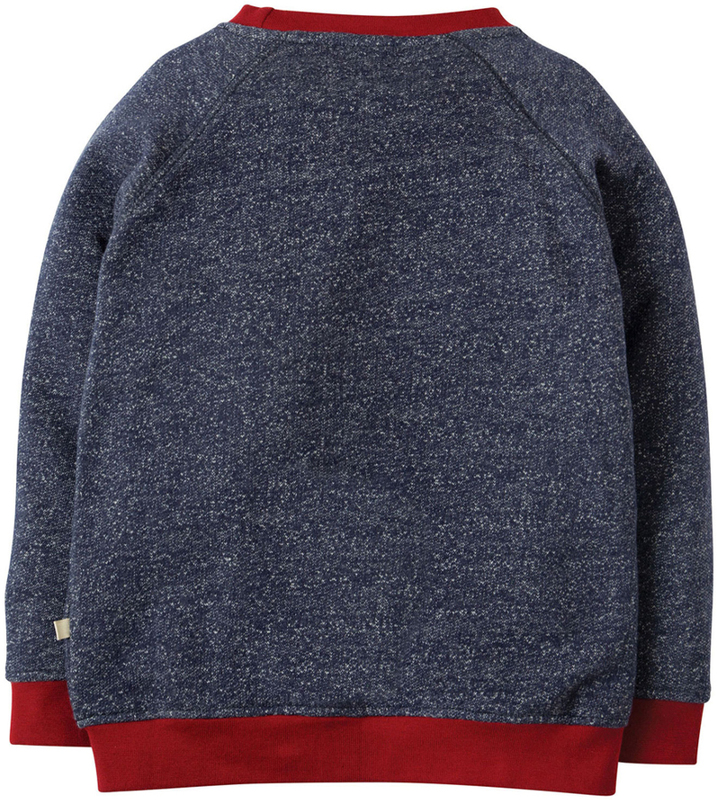 Wash inside out and with similar colours on a warm cycle. Tumble dry on medium. Iron on reverse. Do not dry clean. Do not bleach. Packaged in a biodegradable plastic bag. 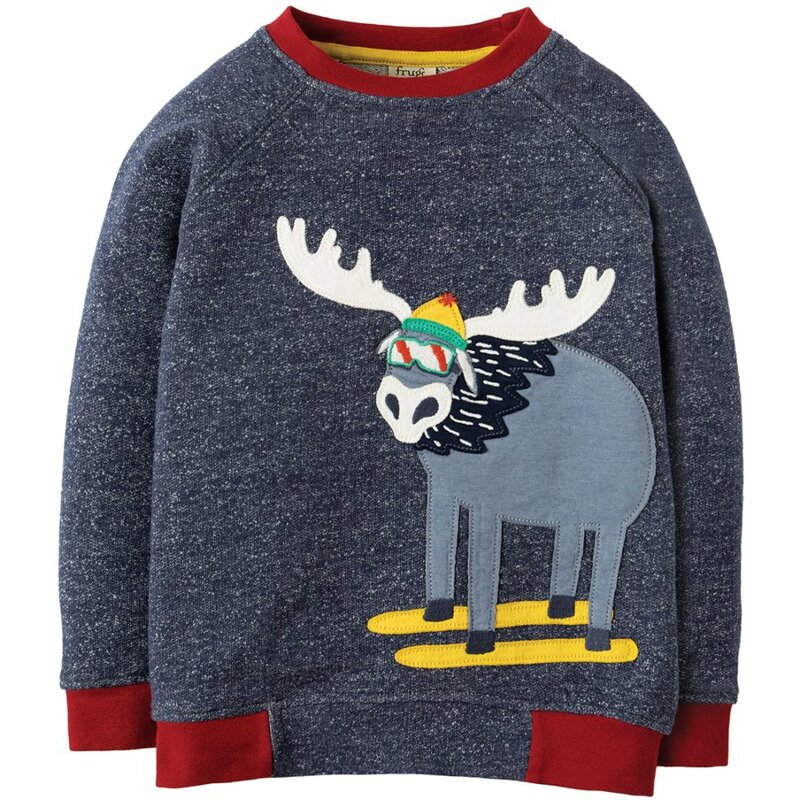 There are currently no questions to display about Frugi Jaco Jumper - Moose.